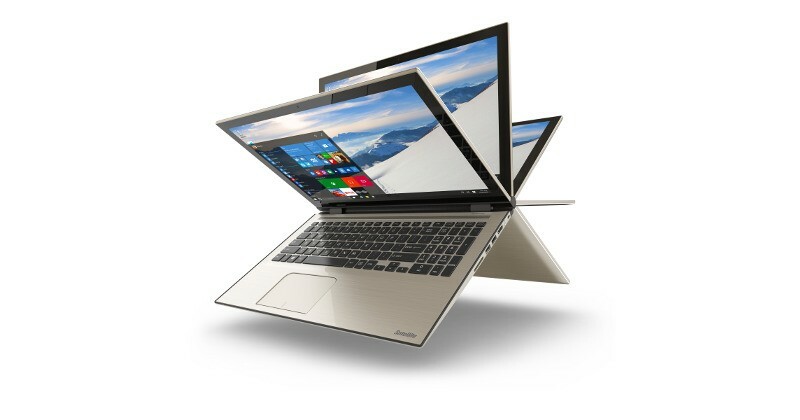 Toshiba is expanding its successful line of Satellite Radius notebooks with three more new models. Like the successors, these three models will also have a 360 degree foldable hinges. This will ultimately help you to fold up the keyboard of your notebook back to back and enable you to use it like a tablet. But unlike the previous models, the new ones are packed with a button which is exclusively dedicated to Cortana Digital Assistant from Microsoft. There is one more thing that Toshiba presents you in special; a model with 4K display. Normal Satellite Radius 15 comes with an HD display with a screen size of 15.6 inches. Another variant of this, Satellite Radius 4K Ultra HD edition gives you a better display in 4K. The pixel resolution counts to be 3840*2160 pixels. The 4K model comes with a distinguishing metal dark carbon gray finish while the 1080pixel normal one packs in lighter aluminium case. Both the variants will be functioning on Intel Core i5 processors. The RAM of the device comes to be 12GB which is quite fascinating. The price of the 1080p version comes to be $842 whereas the 4K version tags at $1100. Radius 14 seems to be little thicker than Radius 15 and having a thickness of 0.83 inches. The device is packed with a brushed resin black matte cover with a brushed metal palm rest. 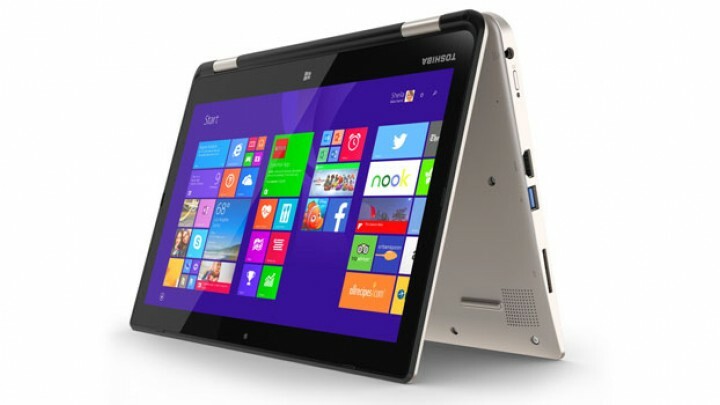 It comes with a screen size of 14 inches with a display of 1080 pixels. The processor comes from either Intel or AMD with a RAM of 8GB. Radius 14 tags with a price of $585. It seems that Toshiba is less cared about the Radius 11, since they haven’t announced anything regarding its update. It has got a display which measures to be 11.6 inches. It functions on an Intel Celeron Bay Trail processor. All the three models will be compatible with Windows 10. They will be launched with a Windows 8.1, which can be freely updated to Windows 10, when Microsoft releases the OS on 29th July. The notebooks are packed with a button that is dedicated to Cortana, users need not worry about the update, since Windows 8.1 doesn’t have a Digital Assistance like Cortana from Microsoft. Apart from this all the three models are compatible to WiFi connectivity with a bandwidth of 802.11ac. They have also got two USB ports with 3.0 version, which ensures swifter transfer of data. It is also packed with one USB port of version 2.0 along with one SD card slot. Sound systems of the notebooks are enhanced with Harman Kardon Stereo speakers and DTS sound. With all these features, all the three models are expected to hit the markets across by 21st June. It is expected with updated OS and other features, they will be liked by the gadget lovers all across the world. The company will be looking forward for the customer reviews especially for 4K edition.